On September 18 - 20, 2017 the 11th international specialized exhibition "Heat Treatment - 2017" was held at the Expocentre Fairgrounds, Pavilion 7 with the support of the "International Federation of Heat Treatment and Surface Modification" - IFHTSE and the Russian society of metal science and heat treatment “ROMiT. 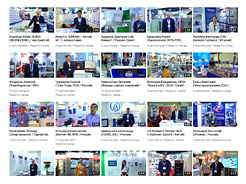 The main achievement of the project in 2017 was a record number of exhibitors: 80 companies from 10 countries (Belarus, Germany, Austria, Italy, China, Poland, Russia, Slovenia, France, Switzerland). Among the participants there were 25 new firms, 13 of which are Russian manufacturers. • Industrial ovens for heat treatment / JSC "SM Climate"
• Cryogenic treatment: research results,applications and implementation; technology and equipment / Industrial Gases Ltd.
• New technical service definition / SECO/WARWICK S.A.
• Economically effective vacuum and atmosphere furnaces, heat treatment production lines / JSC "S-Instruments"
• Innovative approaches in the measurement of hardness / JSC "S-Instruments"
• The new gas tunnel furnace with apron conveyor manufactured by BOSIO company for tempering after heavy forging parts in the automotive industry / Bosio d.o.o. In 2017 the exhibition was visited by 2830 specialists - managers and specialists of the leading industrial enterprises of metallurgical, aerospace, engineering, defense industries, and other industrial enterprises, research and educational institutions, among which are: GKNPTs im. Khrunichev, Rostelmash, FSUE VIAM, NPCG JSC "salute", FGUP NII Polyus, tekhmash, Transmashholding, JSC "OKB Technology", LLC "Volga Bearing Plant", JSC "Plant of the ANDES GAZTRUBPLAST", JSC "VILS", NPO AUTOGRAPHER, JSC "Company "Sukhoi", OOO NPP "Vulkan-TM", LLC "PKF-Gazneftemash", JSC "research Institute "POLYUS" them. M. F. Stelmakh", JSC "NPP "Radar MMS", JSC "MZ "Elektrostal", FSUE "TsENKI"-"KB"Motor", JSC "BELAZ", JSC "zeto", JSC "MKB "Fakel" JSC "Pluton", JSC "Avtospetsoborudovanie", JSC "Russian space systems", FSUE "NPO "Tekhnomash", and many others. 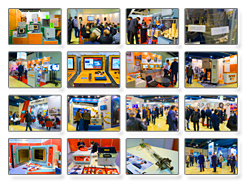 The participants noted that the exhibition "Heat treatment" gathers a unique audience of visitors – only target customers. This information is confirmed by the Certificate of statistics audit indices of the exhibition, according to which the number of professionals is 98% of the total number of visitors. "The organization of the exhibition is at a high level. The visitors come with a ready technical task, as well as ideas of projects"
Feschukov A. N., General Director of JSC "NPK "Comanducci", Tomsk. "The organization of the exhibition is at a good level. Visitors are the target audience, highly qualified specialists and managers of technical services and departments"
Vologdin V. V., Director of "NPF "freal-Ltd", Saint-Petersburg. "The exhibition is very focal, customers with real projects, tasks. All the days are gone active. We hope for further cooperation"
Agafonova, A. A.. assistant Director for marketing and sales, OOO "VSP Rus". For the first time in the history of the international industrial cooperation Moscow was chosen as a venue of the most important and authoritative reputable international Forum for materials scientists-practitioners, the 26th International IFHTSE Congress heat treatment and surface engineering. A Memorandum of cooperation with the Beijing Institute of mechanical and electrical technologies was signed at the exhibition. The Congress will be held parallel to the exhibition "Heat treatment-2019" on September 17-19, 2019. We invite companies and industry experts to participate in the preparations for this important event.